Sen. Chris Van Hollen is set to endorse Prince George’s County Executive Rushern Baker for governor tomorrow. During the 2016 Democratic primary, Baker took heat from some corners for endorsing Van Hollen over then-Rep. Donna Edwards in the hotly contested Senate race. Like Baker, Edwards is African American and from Prince George’s. Baker’s bet has now paid off handsomely with Van Hollen returning the favor and endorsing him early for governor in a large field. This is a big endorsement for Baker, as it gives him an entry to new areas of the state. Critical to making use of any endorsement, however, is an ability to take advantage of it by communicating it to voters along with other reasons to vote Baker. Putting that together will require money and a good campaign team. They seem off on the wrong foot. I don’t know why they’ve chosen to go big with this major endorsement on the Friday before the Virginia elections. 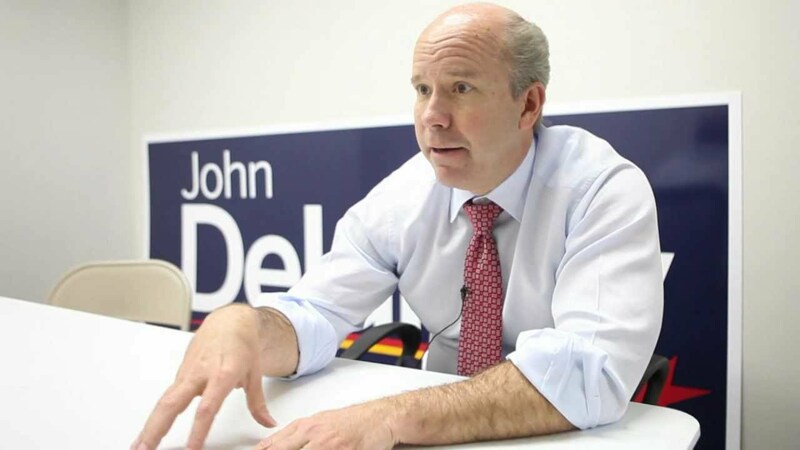 Still, Baker will have plenty of time to tout Van Hollen’s support, which will be more valuable if Van Hollen is game to introduce him publicly, cut commercials, or connect him with major donors to political campaigns. Upper Marlboro, MD – Tomorrow, U.S. Senator Chris Van Hollen will announce his endorsement and support of Prince George’s County Executive Rushern L. Baker, III for Governor of the State of Maryland at 11:00 a.m. during a media event at the Wayne K. Curry Sports and Learning Center, 8001 Sheriff Road, in Landover, MD. During this endorsement event, Senator Van Hollen and County Executive Baker will also address the impact and consequences of Republican attacks on and changes to the Affordable Care Act (ACA). Friday, November 3, 2017, 11:00 a.m. Note: I have mentioned it previously but wanted to remind readers that I am supporting Rich Madaleno for governor. “The Sierra Club endorses Congressman Van Hollen because he has the proven ability to transform an environmental vision into effective legislation. If we are to meet the environmental challenges of the 21st Century, we need legislators who have the knowledge, commitment, and leadership skills documented in Rep. Van Hollen’s record. “More than 15 years ago, State Senator Van Hollen led the successful fight to pass the Maryland Clean Energy Incentives Act of 2000. That leadership has continued unabated ever since. He won a ban on drilling in parts of the Chesapeake Bay watershed. He was the lead sponsor of the Healthy Climate and Family Security Act. 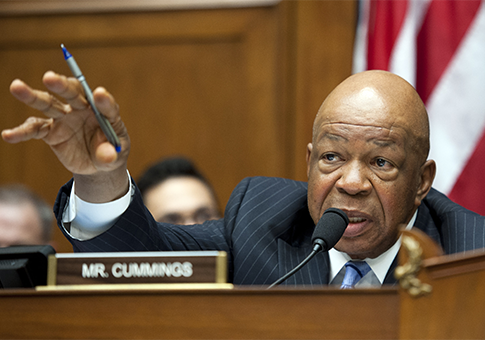 He co-chairs the Bicameral Task Force on Climate Change and the Congressional Chesapeake Bay Watershed Caucus, and is a member of the Safe Climate Caucus. And now, he is now a leading sponsor of “Frack Pack” legislation that would close oil and gas loopholes and responsibly regulate fracking at the Federal level. Chris Van Hollen received 80% support in a straw poll for the U.S. Senate primary held at a summit of rural Democrats. So far, only Van Hollen and his colleague in the U.S. House, Donna Edwards, have jumped in the race for the Democratic nomination. Together, these three regions hold approximately one-sixth of Maryland’s Democratic primary voters. Despite their reputation as mostly Republican turf, no candidate will want to ignore this many voters. Moreover, the media market centered on Salisbury is also far cheaper than the other Maryland markets. The difference hasn’t varied that much regardless of the overall level of turnout. However, the 2012 results suggest that, perhaps, rural voters are slightly less likely to stay away in low turnout contests. In that race, rural turnout exceeded the rest of the State by 1.5%. 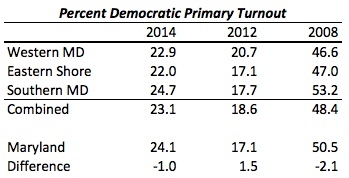 In contrast, rural Democratic primary turnout was lower than the State as a whole in the higher turnout 2008 and 2014 primaries. Sen. Jamie Raskin (D-20) is widely considered a lock to enter the race for Maryland’s Eighth Congressional District. 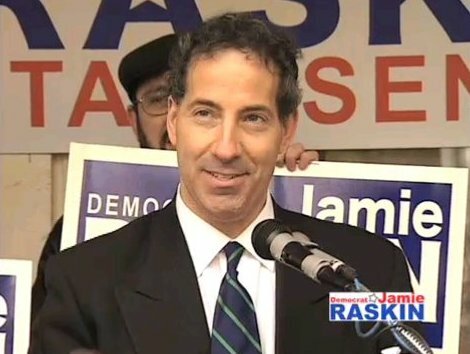 Jamie Raskin was first elected to the Senate in 2006 in an impressive defeat of longtime incumbent, Sen. Ida Ruben. Though Raskin was a first-time candidate, he beat Ruben by 2-1 thanks to a strong campaign and grassroots organization. It also didn’t hurt that Chris Van Hollen notably did not endorse Sen. Ida Ruben, who had not supported him in his original congressional bid in 2002. Since the 2006 Democratic primary, Raskin has been untouchable in this district. Two of Raskin’s previous campaign managers, David Moon and Will Smith, have now joined him on the House side. Raskin remains very popular and a solid fit for this district, correctly perceived as the most progressive in Maryland. Jamie made the transition from law professor at American University to politician in the Maryland Senate more smoothly than some likely expected. He worked well with his colleagues and became a leader on the Judicial Proceedings Committee. Currently, Sen. Raskin heads the Executive Nominations Committee. He is also serves as Majority Whip and is a past Chair of the Montgomery County Senate Delegation. His work has unsurprisingly focused more on issues related to his committee. Sen. Raskin was a robust supporter of marriage equality. In this session, he is focusing much of his efforts on campaign finance trying to make the system more transparent in the wake of the disastrous Citizens United decision, which opened the floodgates of soft money into American politics. One of the more loquacious members of the Senate, he is excellent at arguing for his point of view and parrying his opponents. Jamie’s passionate progressive views have also not prevented him in working with others to move forward even if the product is less than ideal from his perspective. All of these issues and skills would transfer well to Congress, even if he would likely have to get used to operating as part of the minority instead of the majority. There is a reason that lawyers are not lacking in Congress or Washington even if Washingtonians can tell lawyer jokes with the best of them. Jamie cannot self finance but he is well-positioned to raise a lot of money. His profile extends beyond the local level–and not just because his spouse, Sarah Bloom Raskin, has served on the Board of Governors of the Federal Reserve and is now Deputy Secretary of the Treasury. Moreover, many of Jamie’s originals supporters are still very active in politics and eager to support his congressional bid. As he showed in 2006, he is quite capable of putting together an organized grassroots campaign. District 20 has one of the richest pockets of Democratic voters in the State, though fewer than District 16 and similar in number to neighboring District 18. Raskin’s district would serve as a fine base for a congressional run. Jamie Raskin will be a top-tier candidate. He shares a similar political profile with Rich Madaleno. Both are white males and strong progressives based in neighboring southern Montgomery County districts. They’ve worked closely together in the Senate on many issues. Either would benefit if the other does not run.